Perfect for organizing your garage or workshop. 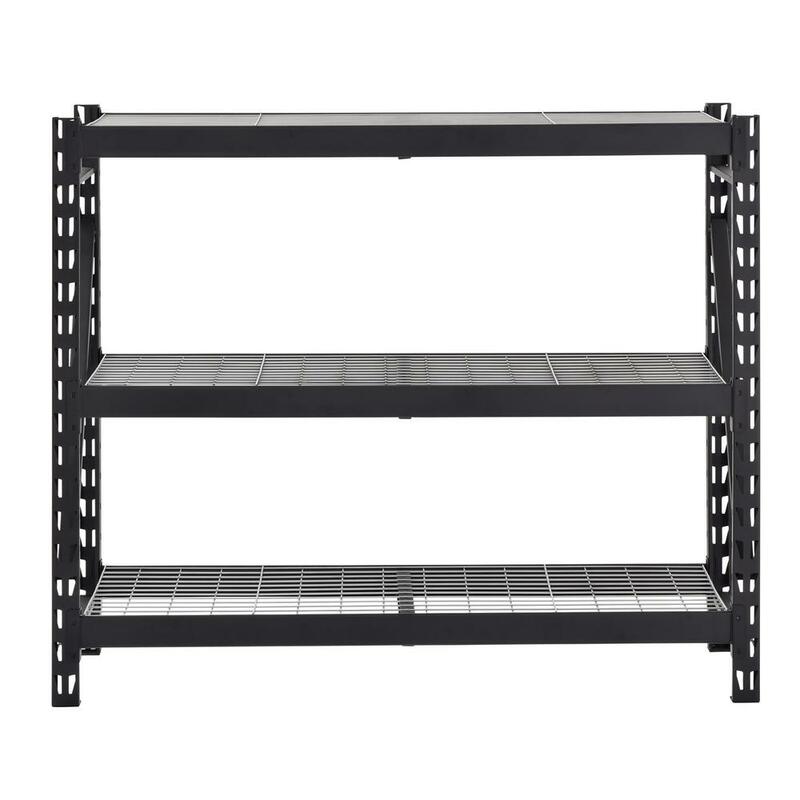 Husky's Steel Shelving Unit measures 54 in. tall, 65 in. wide and 24 in. deep. The four adjustable wire shelves provide ample storage space to accommodate a variety of heavy items, each shelf supporting up to 1500 lbs. 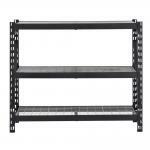 This unit is constructed with steel in a powder-coated finish for durability and strength. Shelf Weight Capacity: 1500 lbs./ Total Weight Capacity: 4500 lbs.